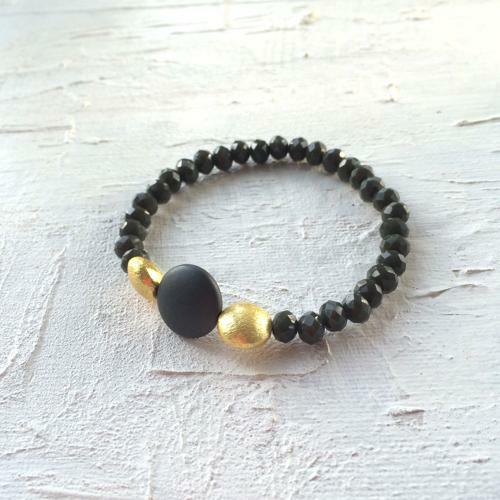 An easy to wear stretch bracelet with polished hematite bead, opaque crystals and gold or silver plated nuggets. On jewellers elastic for an easy fit. One size fits most. Designed and hand made in England.